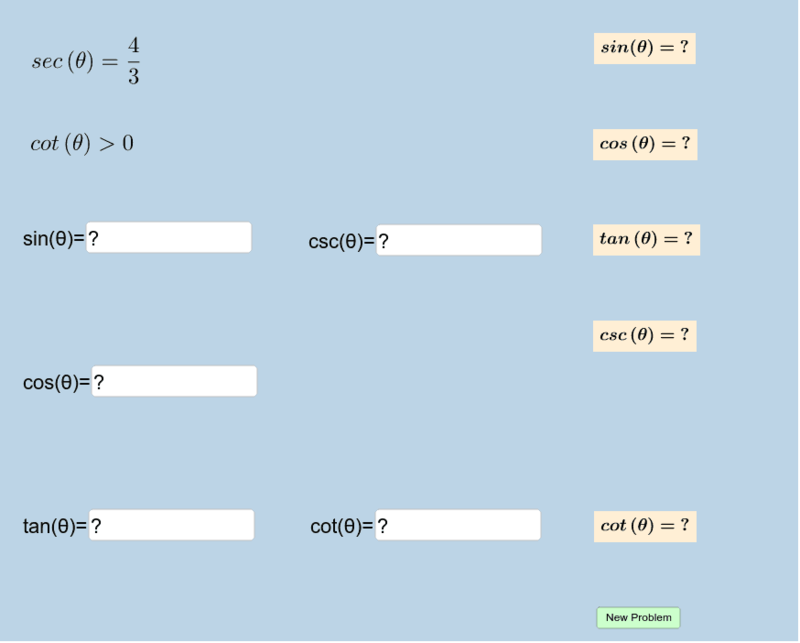 , simply type "sqrt(13)/5" (without the quotation marks). If you input a correct ratio, the applet will indicate this to you. Generate as many problems as you need in order to master this concept !! !